Professors Gusto and Hitch work hard in the Laboratory of Curiosity answering questions: how do birds stay in the air? Why don't the stars fall from the sky? Where does the moon go in the daytime? Only one thing is certain – the universe is filled with wonder and not everything is as it seems. This playful, interactive family show will wow with high-flying aerial dance, a magical soundtrack and stunning design. After touring schools in Mid Wales in 2016, the show was adapted to tour to Festivals across the UK. Last summer Powys Dance joined fellow Welsh company Volcano at their very special venue, Leith Volcano for the final five days of the world’s largest arts festival. Flying Atoms marked the company’s very first visit to the Edinburgh Festival Fringe, and audiences made up of schoolchildren from primary schools in Leith took their seats alongside Edinburgh Festival Fringe fans of all ages to learn and be entertained by this enthralling production. 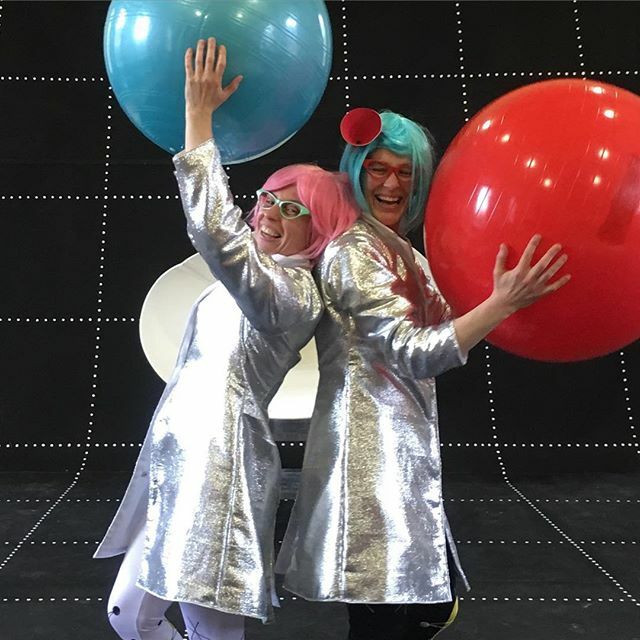 The production then toured to Science Festivals throughout the UK, including a sell-out visit to Swansea’s Taliesin Arts Centre as part of Swansea Science Festival. 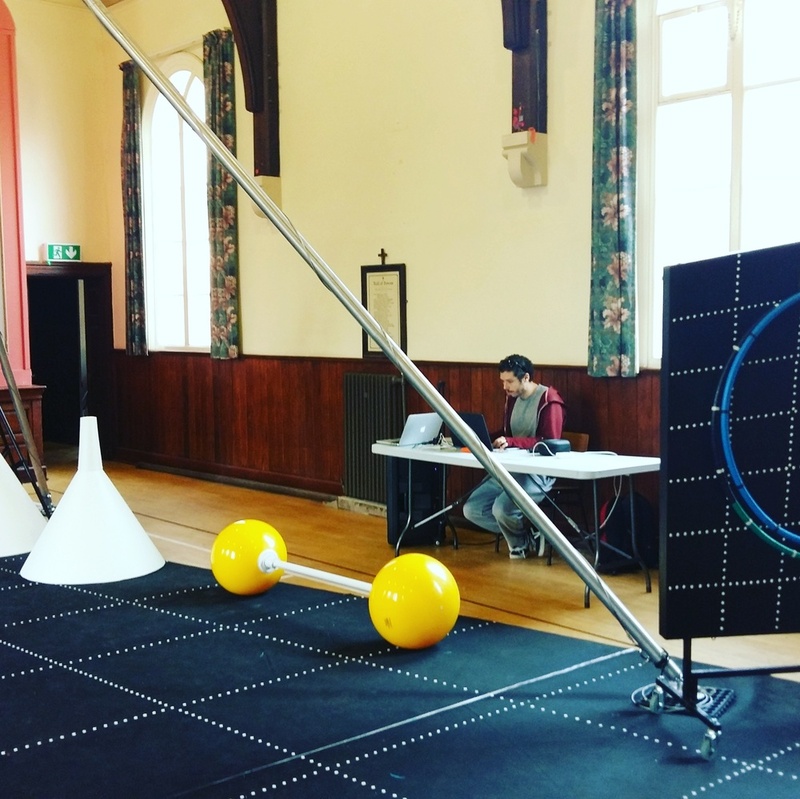 In Autumn 2018 we brought Flying Atoms home to Wales and toured across 6 venues in Wales, two of which in our home county of Powys. photos by Zoe Quick and Amanda Griffkin.